After having studied law for two years at the Law University of Yaoundé, Ms. Epoté joined the International School of Journalism of Yaoundé in 1978. As the only woman in her class, and at the insistence of her professors, she choose to study television journalism. At that time Cameroon was the only country in the subregion that had not yet invested in TV broadcasting! After having graduated from ESIJY in 1981, Ms. Epoté started her career as a reporter at Radio Cameroon, first in Yaoundé and then in Douala. With the arrival of television in 1985, she became the first anchorwoman to host the evening news at 8.30pm. While at Cameroon Radio and Television until 1993, Ms. Epoté wore many hats, as anchorwoman, producer, and editor in chief. In 1994 after taking a year off, two years after the creation of TV5Afrique, she joined the team and began working out of the famous Cognac-Jay Street buildings. Within TV5Afrique, she was in charge of content for four years - bringing together the best young African audiovisual productions. During that time, she also hosted a health magazine: Science 5. 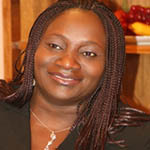 In Abuja in 2001, she was awarded "Best Journalist" by the Pan African Broadcasting Heritage. She has also received several distinctions from Senegal, France, Cameroon and Burkina Faso for which she is “Officier des Arts et des Lettres” since 2009. Aïcha Bah Diallo, a champion of girls’ and women’s learning, is the Chair of the Forum of African Women Educationalists (FAWE) and of the Network for Education for All in Africa (REPTA). She is member of the Mo Ibrahim Foundation Prize Committee for Good Governance and Leadership in Africa. Ms Bah Diallo appointed Minister of Education of Guinea in 1989, served in that post for seven years. She pioneered work on lowering barriers to education for girls, noting that poverty was the primary problem, but that the distance of schools from family homes and concerns about the girls’ safety also played a part. The number of girls enrolled in school surged from 113,000 to 233,000. At the Ministry of Education she enlisted a team of strong managers and became widely known throughout the country as the leader of education reform in Guinea, redeploying nearly one third of the country’s teachers from urban to rural schools, as well as from administration to teaching, and from secondary to primary schools. From 1996 to 2005, Ms Bah Diallo was a senior education leader of UNESCO, serving as Director for Basic Education, Deputy Assistant Director-General for Education, and as Assistant Director-General for Education. She was also adviser to the Director-General of UNESCO for Africa. 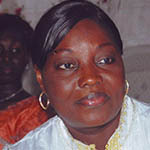 Prior to her service as Minister of Education in Guinea, Mme. Bah Diallo was Chief of Cabinet at the Ministry of Planning and International Cooperation (1986-1989) and served as Director of International Relations and Projects at the Ministry of Women and Social Affairs (1984-1986). In Guinea many private as well as public schools are named after her. She has also received many distinctions: “Commandeur des Palmes Académiques Françaises”, “Officier de l’ordre National de Côte d’Ivoire”, “Chevallier de l’Ordre National du Mérite de Guinée”, “Médaille d’Honneur du Travail”. Irina Bokova, born on 12 July 1952 in Sofia (Bulgaria), is a Bulgarian diplomat and politician, and has been the Director-General of UNESCO since 15 November 2009. She is the first woman to have been elected head of the Organization. She was also Minister of Foreign Affairs and Ambassador of Bulgaria. 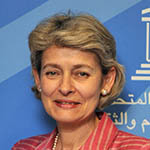 Having graduated from the Moscow State Institute of International Relations, the University of Maryland (Washington) and the John F. Kennedy School of Government (Harvard University), in 1977 Irina Bokova joined the Ministry of Foreign Affairs of Bulgaria, where she was responsible for human rights issues. Appointed in charge of political and legal affairs at the Permanent Mission of Bulgaria to the United Nations in New York, she was also a member of the Bulgarian Delegation at the United Nations conferences on the equality of women in Copenhagen (1980), Nairobi (1985) and Beijing (1995). Elected as a deputy of the Bulgarian Socialist Party (1990-1991 and 2001-2005), she participated in the drafting of Bulgaria’s new Constitution, which contributed significantly to the country’s accession to the European Union. She launched the first seminar of the Parliamentary Assembly of the Council of Europe on the European Convention on Human Rights. As a polyglot (Bulgarian, English, French and Spanish), she was Minister for Foreign Affairs and Coordinator of Bulgaria-European Union relations (1995-1997) and subsequently Ambassador of Bulgaria (2005-2009) to France, Monaco and UNESCO. In the course of her career, she has also represented Bulgaria at the United Nations. While serving as State Secretary on European Integration and Minister for Foreign Affairs, Ms Bokova always promoted European integration. As an active member of many international expert networks and of civil society and, in particular, as Chairperson and founding member of the European Policy Forum, she has worked to overcome European divisions and to foster the values of dialogue, diversity, human dignity and human rights. 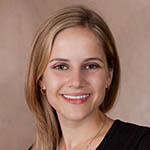 Elizabeth moved to Rwanda a few days after graduating from Vanderbilt University in 2006. She spent two years volunteering with grassroots projects for street children and founded a nonprofit organization to provide scholarships. In 2008, she decided to establish a college for young women that would bridge the gap between the business community and the private sector. Opened in January 2010, the Akilah Institute offers a 2-year business diploma to disadvantaged young women who have the potential to become leaders and entrepreneurs in their communities. Akilah students major in either Hospitality Management or Entrepreneurship, and they complete community service in their villages during the Diploma. Their first Akilah graduates have 100% job placement within the Rwandan economy. Akilah has launched four student-run social enterprises that support the student scholarship fund. The Akilah vision is to create a network of affordable campuses around East Africa. Elizabeth received the Woman of Peace award from the Women’s Peace Power Foundation in October 2009, and she is a co-chair of the Tourism Chamber at the Private Sector Federation. What key message do you want to leave with us today at The Dialogue For Action Africa? I want to discuss the power and potential of affordable higher education systems in empowering young women to become leaders and entrepreneurs in their communities. As East Africa is experiencing great economic growth and expansion, the need for human capital is also growing. Young women need education options that provide market relevant curriculum and leadership skills in order to take advantage of these opportunities. 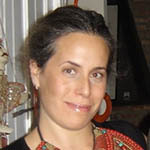 Prior to joining The Documentary Group, Holly Gordon was Director of Content for the Tribeca Film Festival, where she managed video collection and production for the 2007 Festival. She was the executive producer of Tribeca Presents: The Best of the Festival, a broadcast highlighting the award-winning films in the 2008 Festival. Before her tenure at the Tribeca Film Festival, Holly spent 12 years at ABC News, where she worked as a producer and booker for the major news broadcasts: World News Tonight with Peter Jennings, Good Morning America, 20/20 and Primetime. She was an integral part of ABC’s breaking-news coverage during the weeks following the September 11th attacks. For three years, as Editorial Producer for the ABC News magazine unit, Holly managed the team responsible for identifying and booking national and international stories. Holly graduated from Brown University with a B.A. in International Relations. What key message do you want to leave us with today at The Dialogue For Action Africa? Girls’ education is the best investment we can make in breaking cycles of poverty. Adolescent girls in Africa represent a huge opportunity – a super highway for development, ready for our focus and resources. 10x10 is a global campaign designed to share stories about the positive impact of girls’ education on both economies and societies. We are building a community of activists and influencers, across borders, time-zones and cultures, who share our core belief in the economic potential of investing in girls. 10x10 would like to invite like-minded African actors -- policy, corporate, philanthropic and community leaders -- to join us in a localized, year-long campaign to drive girls’ education to the top of the policy agenda. We have chosen 10/10/12, the eve of the first-ever International Day of the Girl, as our first day of global action. Consider leading in your own community by creating a local day of learning and action for girls. Please let us know if you are interested in getting involved. Sade Baderinwa joined Eyewitness News in 2003. She is the co-anchor of Eyewitness News at 5:00pm. The Emmy award-winning journalist started at Eyewitness News as the Noon Anchor and reported for the evening shows. Prior to joining the WABC family, she anchored the Morning and Noon News at WBAL-TV Channel 11 in Baltimore. During that time she also hosted the weekly community affairs show “11 TV Hill” – taking viewers to the heart of breaking news stories – political, international and domestic. Yomi Abiola has re-defined the fashion model by creating a beauty that goes deeper than the surface. The first African face to represent Maybelline worldwide, Yomi has used her beauty and influence to touch the lives of many through her work as a model activist and journalist. Born in London to Nigerian parents, Yomi had a robust start to her career which included gracing the pages of Italian Vogue, British Elle, Harpers and Queens and many more magazines and campaigns -- Yomi put modeling on the back burner to pursue her academic career. She holds two master’s degrees, from New York’s Columbia school of Journalism and Sciences-Po Paris. Her academic excellence catapulted her modeling career, distinguishing her from her peers and setting new standards of excellence. After several years of work as a social justice pioneer, in 2010 Yomi was appointed an associate to the UNESCO Chair for human rights. UNESCO has served as a platform for the model to build education programs using the mediums of fashion, culture and art. 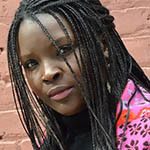 Yomi’s appointment has taken her on speaking tours internationally where she moves audiences through speaking about human rights issues, self-image and race relations. Most recently Yomi has become a contributor to Italian Vogue online. Her unique perspective on fashion is seen through her thought provoking articles, which allow audiences to experience and witness the deeper impact of fashion on society. 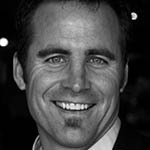 Keith Casey Cobell (Casey) leads the rapidly expanding Rwanda-based operations for Indego Africa, an award-winning social enterprise that works in partnership with cooperatives of women artisans to drive forward a sustainable, long-term solution to poverty. Since coming on board with Indego as Executive Vice President and Rwanda Country Director, Casey has spearheaded the greatest growth in Indego’s history. In 2011 alone Indego experienced a 125% increase in Indego staff, a 250% increase in number of artisan partners, a 400% increase in monthly production average, resulting in a 226% increase in sales revenue. Prior to joining the Indego team, Casey held executive level leadership positions with mission-driven organizations in such various fields as international philanthropy, leadership development, and human services. Over a 17 year career in the social good sector Casey has developed grant making strategy to the developing world, designed global fundraising initiatives, administered post-doctoral programs, and led mountaineering trips near Yosemite National Park. Casey has served on numerous boards and consulted with mission-driven organizations throughout the world. 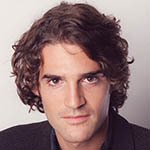 A graduate of Westmont College in Santa Barbara, California, Casey went on to earn a Master’s Degree in Theology at Fuller Theological Seminary in Pasadena, California and performed doctorate-level research on the topic of global philanthropy at the University of Wales/Oxford Centre for Mission Studies in Oxford, England. Most recently Casey has been engaged in business courses from the Thunderbird School of Global Management. During his academic career Casey was awarded numerous distinctions including fellowships, scholarships and awards. He lives with his beautiful wife and daughter in Kigali, Rwanda. To further sustainable economic empowerment for women in Africa I suggest four (4) key elements to a Plan of Action for Africa: (1) long term skill acquisition in business functionality, (2) market access assistance both local and international, (3) mentoring and training in good governance, and (4) leveraging the strength of community to expand opportunity. Mrs. Fatime N’Diaye is a Senior Technical Specialist in Gender for French-speaking Africa at the ILO Regional Office for Africa. A lawyer by education, she has 20 years’ experience at the International Labor Office. Prior to joining the Regional Office, she held a number of positions in the ILO’s technical cooperation in Africa, including the coordination of sub-regional projects to fight poverty, promote decent jobs and encourage gender equality. In this context, she has dedicated herself to diverse issues, such as: local development, micro-finance, women entrepreneurship, social and solidarity economy, as well as the integration of gender issues in development policies, strategies and actions. For many years, she was involved in the Senegalese civil society and held the position of Director of the Council of Non-Governmental Organizations in Support of Development in Senegal (CONGAD). Mrs. N’Diaye started her professional career as an Assistant Professor of Legal and Economic Science at the Cheikh Anta Diop University in Dakar. Vickie Remoe is a multimedia journalist, videographer, and media consultant. She splits her time between West Africa and New York City. Remoe was recently selected as one of 20 Women from Africa to Follow on Social Media by Concept Link. As a journalist Remoe covers International Development, entrepreneurship, politics, business, and women's issues. 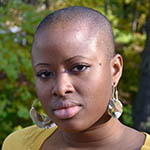 She is Creative Director of How4Do Productions, a media production company she founded in 2008 and managing editor of SwitSalone.com. Additionally, Remoe functions as executive producer and host of her own eponymous broadcast TV Talk Show, The Vickie Remoe Show. The Show mixes man-on-the-street interviews, on-location travel segments, on-set segments taped in front of live audiences and experiential service pieces (such as her Katie Couric-style televised implantation of a contraceptive device). Travel segments were produced in Senegal, Mali, Sierra Leone, Nigeria, and Ghana. Remoe was also country director for Canoe Magazine. Her media and PR clients include Modahnik, Aschobi Designs, Sierra Leone Bottling Company (The Coca Cola Subsidiary), Airtel, Africell, and Addax Bioenergy Sierra Leone Limited. She has an M.S. in Journalism from Columbia University Graduate School of Journalism, and a B.A in Political Science from Haverford College in Pennsylvania. "The dialogue for Africa will be doing a great disservice to millions of young people if it does not include special consideration for young African women whose needs and voices are often left out of the conversation. Young African women need to be empowered with education in business and technology if they are going to be key players in the continent's advancement." Magatte Wade was born in Senegal, educated in France, and launched her entrepreneurial career in San Francisco. She started her first company, Adina World Beverages, after visiting Senegal and discovering that Bissap, her country’s drink of hospitality, was being replaced by Coke and Fanta. Adina raised over $30 million in capital and, at its peak, was carried nationwide by Whole Foods Market, United Natural Foods, Inc., and other major retail chains. In order to supply Adina with organic hibiscus from Senegal, Magatte partnered with ASNAPP (Agribusiness in Sustainable African Natural Plant Products) and the first lady of Senegal. The result was a major revival of the Senegalese hibiscus industry resulting in thousands of jobs for women hibiscus growers. She is now launching Tiossan, a high-end skin care products line based on indigenous Senegalese recipes, modernized for the U.S. consumer market by leading California green chemists and scented by French artisanal perfumers. Fifty percent of Tiossan profits are dedicated to the creation of innovative schools in Senegal designed to developing the next generation of Senegalese genius. Magatte writes for the Huffington Post and Barron’s, and is a frequent speaker at business conferences and college campuses, including Harvard, Yale, Columbia, Cornell, Brown, Dartmouth, MIT, Babson, etc. She was named a Young Global Leader by the Global Economic Forum as well as one of the “20 Youngest Power Women in Africa” by Forbes in 2011. She serves on the board of ASNAPP and the SEED Academy (Sports for Education and Economic Development), a private school in Senegal that prepares young people academically and athletically so that they can win NCAA basketball scholarships in the U.S. She is a mentor for the MIT Legatum Center for Entrepreneurship and Development. Africa needs to create hundreds of millions of jobs in order to create a better future for the next generation. Entrepreneurship is the only way that we can create those jobs. At present the West finances 500,000 aid workers each costing more than $100,000 annually each. If instead the West were able to channel that financing to 500,000 African entrepreneurs, Africans themselves could create the prosperity they desire, while also earning the dignity and self-respect they deserve. Jeffrey has worked for The New York Times for ten years, covering everything from the war in Iraq to the annual possum drop in rural North Carolina. He has won several Overseas Press Club awards and a George Polk Award for foreign reporting. He studied philosophy at Cornell and earned a master's of philosophy degree from Oxford, where he was a Marshall Scholar. He has appeared as a news commentator on BBC, CNN, PBS, NPR, ABC and the Charlie Rose show. He has written for Foreign Policy, the New York Review of Books, the New York Times Sunday Magazine, The New Republic and GQ. Jeffrey is 40 years old and married to Courtenay Morris. They live in Nairobi, Kenya, and have two young sons. Edna Adan Ismail is an activist for Human Rights and Gender issues and has pioneered the campaign against Female Genital Mutilation (FGM) nationally and internationally since 1976. Dr. Ismail became the first qualified Nurse/Midwife in Somalia in 1961 and in 1967 when her husband became the Price Minister of Somalia, she undertook the responsibilities as the First Lady of Somalia. Edna is the President of the Association for the Victims of Torture, Member of the Regional Health Board of the Ministry of Health of Somaliland, Council Member of Hargeisa University, and has recently been appointed member of the Presidential Commission on Higher Education in Somaliland. In 2002, Dr. Ismail opened the first charity Maternity Hospital in her country, Somaliland. The hospital is a regional referral hospital for obstetrics and all emergencies, a training school for nurses, midwives, laboratory technician and pharmacists as well as for medical students from Hargeisa and Amoud Universities. She lives in the hospital grounds in order to share her UN Pension with the hospital. She continues to teach, deliver babies and is an active part of the hospital Management. 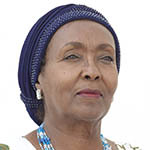 In 2002, she was appointed Minister of Family Welfare and Social Development by the Government of Somaliland and was the only female in the Government of Somaliland at that time and held the position of Somaliland Minister of Foreign Affairs from 2003-2006. More recently, Dr. Ismail was Knighted by President Sarkozy ‘Chevalier dans l’ordre Nationale de la Legion d’Honneur’ of France, was awarded National Award of Merit from the Speaker of the House of Representatives of Somaliland‘ For Outstanding Service to National Health Care. In 2011, Newsweek included her in the list of the 150 Women Who Shake The World. The women of Africa need not die of problems related to pregnancy and childbirth. They would be better protected if more midwives are trained for them. My goal is to train 1000 midwives for the Horn of Africa. Why not elsewhere too ? Dr. Amy G. Lehman is the founder of the Lake Tanganyika Floating Health Clinic. The LTFHC is an international organization whose mission is to address the problem of health care access for millions of people who live in the isolated, but strategically critical Lake Tanganyika Basin/Great Lakes region of Central Africa. The Lake Tanganyika Basin is not only Africa’s largest source of fresh water, but is home to enormous mineral resources vital to next generation technologies, newly discovered fossil fuels, and hundreds of endangered and unique biodiversity. Dr. Lehman and the LTFHC have thus become recognized and sought after as key experts, advisers and partners to actors as diverse as regional governments and local tribes, through to donor governments, philanthropists, non-profit organizations and multi-national corporations increasingly coming to understand the magnitude of importance of the Lake Tanganyika Basin across health, energy, environment and economic development disciplines. Dr. Lehman also trained in general surgery at, and additionally received both an MD and MBA, from the University of Chicago. She was a Senior Fellow with the MacLean Center for Clinical Medical Ethics for two years, has been honored by Newsweek as one of "150 Women Who Shake the World," presents regularly at leadership conferences such as TED, and is most proud to be the mother of Max, her favorite person of all time. Maternal Health is a proxy for societal health and stability. It's that simple. If one sees health care as not only an end in itself but also a means to other ends such as productivity, longevity, economic upward mobility, etc., then it's clear that maternal health, and women's reproductive health writ large, is a huge factor in that equation. Maternal death and injury and under 5 mortality don't only destroy the lives of women and children, but also destroy family structures and a fundamental building block of stable civil society. Especially in conflict and post-conflict countries, this type of basic stability is a hygiene feature of continued progress from a broad societal standpoint. Through this lens, maternal health ceases to be a vertical funding area and instead should be thought of as intrinsically linked to other areas of humanitarian aid and economic development. 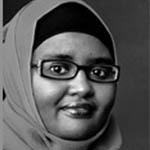 Deqo Waqaf is the daughter of Dr. Hawa Abdi. She was born in Mogadishu, grew up feeding the refugees her mother was harboring, and earned an MD in Moscow in 2000. She was an OB-GYN resident in Russia up to 2003. She continued to go back to the camp to work during her holidays, and came to America as a refugee in 2003. She was naturalized American in 2008. She spends half of her year studying in Stone Mountain, Georgia, and the other half in Somalia, working at the private hospital and camp founded by her mother. 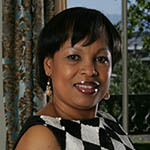 Dr. Sheila D. Tlou is the Director of the UNAIDS Regional Support Team for Eastern and Southern Africa. She is a former Member of Parliament and Minister of Health of the Republic of Botswana (2004-2009). She is also a former Professor of Nursing at the University of Botswana and Director of the WHO Collaborating Centre for Nursing and Midwifery Development in Primary Health Care for Anglophone Africa. She has been involved in the AIDS response from the time the HIV epidemic started in Botswana in 1985. She was HIV/ AIDS Coordinator at the University of Botswana from 2001- 2004 and facilitated the formation of Students Against AIDS Society (SAHA). She is the founder of the Botswana chapter of the Society of Women and AIDS in Africa (SWAA). Dr. Tlou holds a PhD in Nursing Sciences and post-graduate Certificates in Women’s health and Gender studies, from the University of Illinois at Chicago. She has many publications on gender issues relating to HIV/AIDS, Older Persons, Menopause, and community- based approaches to HIV prevention. During her term as Minister of Health, Dr. Tlou contributed to the improvement of global health care, especially for women and girls. She led a successful HIV and AIDS prevention, treatment, care and support program in Botswana whose achievements are still some of the best in Africa. 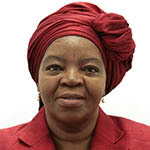 As Chairperson of SADC and African Union Ministers of Health in 2005/6, Dr. Tlou provided leadership in the adoption of the SADC Malaria Eradication Program, the SADC HIV/AIDS Plan of Action, and the adoption of the Maputo Plan of Action on Sexual and Reproductive Health and Rights. Dr Tlou also represented Eastern and Southern Africa in the Board of the Global Fund for AIDS, Tuberculosis and Malaria. 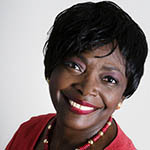 She has received several national and international awards, among them the 2002 Botswana Presidential Order of Honour, the 2002 Anna Reynvaan Award from the Amsterdam Medical Centre, the 2003 Florence Nightingale Award from the International Red Cross Society, the 2006 Emang Basadi Award for Leadership in HIV/ AIDS, and the 2007 Trailblazer Woman Leading Change Award from the World YWCA. She is the United Nations Eminent Person for Women, Girls, and HIV/AIDS in Southern Africa. Nahid Toubia is a doctor of medicine with specialized degrees in surgery and health planning & financing. She attended medical school in Egypt and in 1981 became a fellow of the Royal College of Surgeons of England and the first woman surgeon in Sudan. She served as the head of the Paediatric Surgery department at Khartoum teaching hospital for many years. In the 1990’s, she joined the Population Council in New York as an Associate for Women's Reproductive Health and established the Reproductive Health and Law network in the Arab World with civil society members from 12 countries. 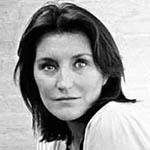 In 1994 she founded Rainbo; an international organization which took the lead on advocating to stop FGM through women’s empowerment throughout Africa and globally. With other African women leaders she founded AMANITARE, the first African network on sexual and reproductive health and rights of women and girls with members from 18 African countries, currently based in South Africa. During her long international career, Dr Toubia served as a member of several committees of the World Health Organization, UNICEF and UNDP and was the Vice-Chair of the advisory committee of the Women's Rights Watch Project of Human Rights Watch where she served on the Board of Directors. She was also a member of the Board of Directors of Engender Health and the Global Fund for Women. 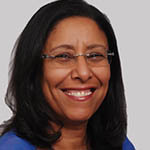 In 2008 Dr Toubia returned to Sudan where she works as a consultant for Reproductive and Maternal health. 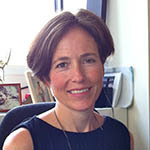 She recently worked as the acting Country Director for the Population Council and for Marie Stopes International and as the technical advisor for Maternal & Neonatal Health Programs of the Canadian International Development Agency in South Sudan. She is the Chair of the White Ribbon Alliance in Sudan. If we reduce maternal death and stop the mutilations and systemic violations, women can fuel the African renaissance and lead the rise of the African giant in the World. Mrs Coumba Touré is founder and President of ADA foundation, whose main interests are to develop effective partnerships with international development entities, corporations and the world community, to apply the knowledge and expertise of information and communication technologies to scale up initiatives in the area of Education, Health and Environment with a view of contributing to the MDGs. 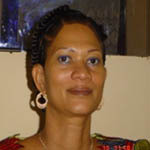 Mrs Touré was born in Mali and holds a Masters Degree in Microbiology from the State University of Leningrad (St Petersburg), Russia, a Certificate in Virology from the Insitute of Virology in Hamburg, Germany and a Certificate in Epidemiology and Biostatistics from John Hopkins University, Maryland, USA. Prior to founding ADA, from 2000 to 2009, Mrs Touré worked and cooperated with the World Health Organization (WHO). Under her leadership the African Program has contributed significantly to a new level of visibility for African HIV vaccine activities and has played an important role for scaling of research activities on the continent. She has created training programs to build local capacity and the development of regional networks and partnerships with African HIV vaccine research stakeholders. For the past two years Mrs Toure has worked towards a smooth transition of the AAVP to be established as an autonomous organization in Africa. From 1994 – June 1995 Mrs Touré cooperated with the World Bank, Washington DC, USA, in conducting the technical review of 2 health projects in Ivory Coast and Benin. In Bamako, Mali, Mrs Touré was Chief of the Virology Laboratory at the Institute for Health Research, 1982 – 1986, where she acted as coordinator of research program for the Virology Laboratory, and conducted diagnosis and epidemiological surveys of infectious diseases. 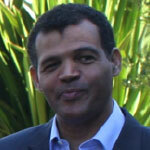 Ms Touré is married with Dr Hamadoun I. Touré, Secretary-General of the International Telecommunication Union (ITU). They have four children and two granddaughters. 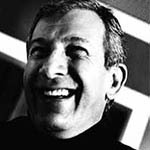 Richard Attias is the world’s top community builder for the “thinking elite”. Over the last two decades, he has built a reputation for helping nations, organizations and corporations catalyze the global exchange of ideas. This talent for anticipating the most pressing issues of our time, activating global networks of thought leaders, and inspiring innovation is based on his unique experience developing some of the most influential gatherings of global leaders in the last 20 years including the World Economic Forum in Davos; the Nobel Laureates Conference; the Clinton Global Initiative; the Middle East Peace Summit in Jordan; the Dalian Economic Summit in China; the signature of the General Agreement on Tariffs and Trade (GATT) in Marrakech, and most recently the Asia-Pacific Economic Cooperation (APEC) Summit in Hawaii in November, 2011. Attias is also the founder and chairman of The New York Forum, an annual forum for global CEOs, economists and business leaders to share ideas and provide recommendations for new business models in a post-crisis world. Prior to establishing his base in New York, Attias spent nearly a decade at Publicis Groupe, where he is credited with creating the first worldwide events network Publicis Events Worldwide in 2004, before ultimately being named Chairman of PublicisLive in 2007. Richard Attias is a global citizen, born in Fez, Morocco with a degree in civil engineering and a Masters in mathematics and physics. He is fluent in English, Arabic and French and, although he is currently based in New York, he travels regularly across Europe, Asia, Latin America and the Middle East. Cécilia Attias has dedicated her life to service; as a mother, a wife, a committed public servant, an activist and an ardent supporter of women’s rights. Born in France, Cécilia honed strength and fortitude early in life. After studying law at L’University Assas, she began her political career serving as a parliamentary assistant. Cécilia consistently served the people of France in many capacities; from 1989 to 2002 in Neuilly’s city hall and at the Assemblée Nationale, in 2002 in the office of the Minister of Interior, where she became deeply involved in women’s rights and issues relating to domestic violence, immigration, assimilation and crimes against children, in 2004 as Advisor in Ministry of State, Economy, Finance and Industry, and in 2005 as Chief of Staff for the UMP Party. Cécilia saw firsthand the suffering and pain of the victims and made a vow to use her influence and status to make a difference. In 2007, Cécilia Attias became First Lady of France, where she continued to work with those in need. Never one to shy away from adversity, in 2007 Cécilia again showed her fortitude and determination to improve the lives of others. As First Lady, Cécilia successfully negotiated with General Muammar Ghadaffi the release of five Bulgarian nurses and a Palestinian doctor imprisoned on Libya’s death row. Today, Cécilia serves as President and Founder of the Cécilia Attias Foundation for Women. She uses her knowledge of the communications industry to aid her philanthropic efforts. Mrs Esther Ibanga is a minister of the gospel of Jesus Christ,a retired banker, founder and president of Women Without Walls Initiative (WOWWI), a non-governmental organization that evolved from the Plateau Women Peace Initiative. The organization is prominent in the cause of building peace in the conflict-torn region of Jos, Plateau State, North Central Nigeria. It also works with women, youth and relevant stakeholders to develop a non-violent approach to conflict resolution and peace building in Nigeria through women who are natural agents for social and natural change. WOWWI over the years has grown to be a strong coalition of women’s groups across religious, ethnic and class divides. It is has become a platform for the activation of women’s voices nationally and internationally on issues of governance, women’s rights and peace building. The organization has conducted peace advocacy forums with volatile communities, donated relief materials to people affected by violent conflict and has implemented several programmes that have rebuilt the social harmony destroyed by the decade long conflict in the region. Mrs Esther Ibanga has a passion for women, youths and children particularly in the area of peace and security. She strongly believes that women have can achieve a lot in a patriarchal society if given the opportunity. Crossing the lines. Taking a bold step, overcoming fear and stepping onto the other side. Crossing the lines of religion, tribe, class, etc. We did it, only to find that the other side looked very much like us! Mrs. Jeannette Kagame personifies an active, relentless and passionate devotion to uplifting the lives of vulnerable populations in Rwanda, and in particular those of widows, orphans of the genocide and impoverished families. As the nation’s First Lady, Mrs. Kagame has admirably balanced family, social life and philanthropy, not only in her own country but continentally and worldwide. In 2001, she founded PACFA (Protection and Care of Families against HIV/AIDS), an initiative primarily focused on providing a holistic approach to HIV prevention and care for the whole family. In 2007 Imbuto Foundation, a Non-Government Organisation, was established to build on and take forward the work done by PACFA with a mission to support the development of a healthy, educated and prosperous society. Mrs Kagame was among the founding members of the Organization of African First Ladies against HIV/AIDS (OAFLA) in 2002, and served as its President from 2004 to 2006. Mrs. Kagame has delivered keynote speeches at numerous national and international fora on various themes including leadership, economics, health, children's welfare, and women’s empowerment, among others. In October 2008, she was named Patron of the White Ribbon Alliance - Rwanda Chapter, an initiative dedicated to ending maternal and infant mortality. 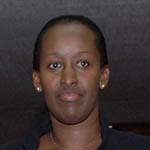 Among the many accolades to her credit, Mrs Kagame, was in 2007 appointed by the World Health Organization (WHO) as the High Representative of the Africa AIDS Vaccine Program (AAVP), to ensure the active participation of African stakeholders in all areas of HIV and AIDS vaccine research and development. In 2010, she was appointed Special Representative on Child Nutrition by the World Food Program (WFP). Mrs. Kagame also serves on the boards of numerous international organizations, including the Friends of the Global Fund Africa, the Global HIV Vaccine Enterprise, in recognition of her untiring efforts and achievements in this area. Aminata Toure is the daughter of the former President of Guinea, Ahmed Sékou Toure. She grew up in Boulbinet, a small neighborhood in Conakry, that at the time housed the presidential palace. She was raised by her father, guarded from power and its privileges, and attended a small elementary school in Conakry in 1961. She would go on to attend the University of Gamal Abdel Nasser, Conakry where she obtained her diploma in Law. Determined to have his daughter grow up far from the luxuries associated with being a member of the first family, her father sent her away for school. 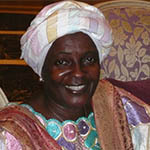 She was therefore educated in many of the regional Guinean capitals, including Beyla, a town in the southeast of Guinea. As a result, Aminata is first and foremost a girl of traditional Guinean education and values. Multilingual, she speaks all the principal national languages of Guinea, giving her the admirable ability of being a great communicator with an innate sense of speech. Despite growing-up far from her father, a brilliant political man and her mother, a pupil from the William Pointy school, at every step in her life she has exhibited confidence and has been able to develop powerful personal traits. Her mother passed away in 1972 and her father in 1984. A Coup d’État landed her, her family and her father’s close associates in jail. She left behind two young children (one girl and one boy), whom were born to her in her 1977 marriage to national icon, Mamadouba Maxime CAMARA, the 1960’s and 1970’s football star from the national team and the famous Hafia Footbal Club. After one year of imprisonment 130 km from Conakry in “camp kèmè bourama de kindia”, she was released and began a life in exile. Overcoming much adversity, she has led a difficult life that has taught her two important things: first, to believe in God and destiny, and second, to defend just cause. Today, she heads SILFIE, she fights for the emancipation of the Guinean women, and for the development of a better Africa for future generations. Zainab is the Founder of Women for Women International, an organization that works with women survivors of war. With Zainab's leadership, the organization has served 300,000 women in conflict and post-conflict countries and distributed more than US$100 million in direct financial aid and loans. Zainab is also the author of three books; Between Two Worlds: Escape from Tyranny: Growing up in the Shadow of Saddam and The Other Side of War: Women's Stories of Survival and Hope and her latest book If You Knew Me, You Would Care. Zainab Salbi is a World Economic Forum Young Global Leader and is one of 22 leaders with the Clinton Global Initiative Lead. Additionally in 2011 Zainab was named one of the Top 100 most influential women by The Guardian, Newsweek, and the Tony Blair Foundation and the top most influential women in America by PBS Maker's series. 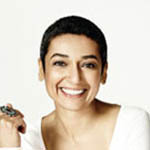 Zainab's work has received frequent media attention including 10 appearances on The Oprah Winfrey Show. Zainab is currently focusing on featuring the role of Arab women in the Arab awakening through several media projects. As a research profesor, doctor in Microbiology, Etienne Massard taught at the University of Reims in France and at the French Lycee in Libreville, Gabon, before becoming Director at the Research Institute in Tropical Ecology and General Director of Environment in Gabon. Today, he is the Special Advisor of the President on questions concerning climate change and sustainability, and presides the National Technical Comission of Scholarships attributions since 2009.